In the 1970’s and early 80’s, Jimmy Hayes was the “Man” when it came to collecting condition rarities. Like most advanced collectors, he was a stickler for coins with original surfaces, particularly those with beautiful toning. He assembled an unparalleled collection of first-year-of-issue type coins, which was sold by Stacks in a special session of its 50th Anniversary sale in October, 1985. Many of the highlights of his collection (as well as outstanding coins from other collections) were photographed by noted numismatist Jay Miller in the early 1980s and are pictured here. Please browse and enjoy. Note: You may download and save these images for your personal use but they may not be displayed in any public forum without the express written permission of ROKO Design Group, Inc.
An exceptional example of Colonial era coinage. Dated 1652, but actually struck between 1667 and 1682. 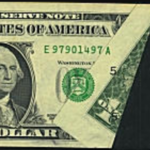 A favorite with collectors of Early American coinage, Continental dollars are sometimes included in advanced type collections as an example of the first U.S. dollar coin. Without question this is the finest known 1792 Half Disme, better by an order of magnitude…..
An awesome, almost surreal example with touches of mint red. Talk about a magnificent Large Cent! Another early copper in incredible condition, also with much mint red remaining. A superb specimen and if not the finest known certainly equal to it. 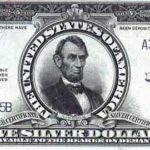 It is perfectly conceivable that this coin was the very first Silver Dollar struck! A beautifully toned, satiny specimen that traces its pedigree to the Colonel Green and F.C.C. Boyd Collections. One of the most beautifully toned and aesthetically pleasing early American coins in existence. Undoubtedly one of the presentation pieces made for influential vistors and others, many of which found their way to Europe. The coin is so well struck, full hair, stars and feathers on the eagle’s breast that it is medallic in appearance. Struck for presentation. Deep mirror surfaces, fully struck stars and devices. Visually surreal, this coin combines absolute rarity, an incredible state of preservation and astounding beauty. A sensational example of this rare date. The first year of the type and by far, rarer in Mint State than even a 1796! Often referred to by numismatists as a “Fantasy piece.” Sharing the same reverse as the Type I 1804 Dollar, it was apparently struck sometime between 1836 and the 1850’s. A pristine example, full frosty mint bloom, and exceptionally beautiful light sea-green and iridescent toning. Struck around 1834 for inclusion in special sets intended for diplomatic presentation to Muscat, Siam, Japan and Cochin-China. First year of issue. A pristine example with delicate sea-green, pink and russet toning. One of the more interesting die blunders of the time, apparently a result of inattention on the part of the engraver. Undoubtedly the few known pieces were originally struck as presentation coins to illustrate the resumption of coinage after a lapse of over a decade. An outstanding specimen which probably does not have its equal. 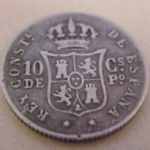 The sale of this coin made the front page of the Greysheet as an example of collectors paying any amount for a gem type. A rare date in remarkable condition and exquisitely toned. Who could ask for more? The 1842 Small Date Quarter is one of the rarest silver coins struck. Gem Brilliant Uncirculated. A wholly prooflike and two-tone specimen. From a quality standpoint, few pre-Civil War Eagles even come close. 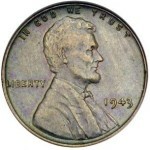 Few examples of this date are the equal of this coin. An extremely rare Proof example of this one year type coin. This coin was once the personal property of Augustus Humbert, the United States Assayer of gold. Why this coin was struck will probably be forever open to speculation. An exceptionally well-preserved example of a rare, unusual and certainly prophetic piece. A spectacular, multicolored example of this rare, first-year-of-issue quarter. 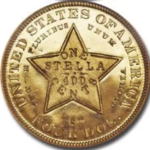 An exceptional coin with full stars, head and cap. The finest frosty Morgan Dollar would pale next to this coin. Another one for connoisseurs of beautifully toned coins. A gorgeous coin with vibrant luster, light peripheral toning, deep mirror fields and minimum abrasions. One of the most famous, beautiful and desirable of all American coin rarities. While reports are that as many as 30 Chapman Proofs were struck, the whereabouts of only about a dozen or so are known today. Just in case someone asks you who’s pictured on the $500 bill. Very impressive – and pretty. But only used for transactions between Federal Reserve banks.